A broken ankle can be incredibly painful for any person. Pain is the worst enemy that makes it difficult during the long road of full recovery. One of the best choices to rehabilitate the fractured ankle is through physiotherapy. 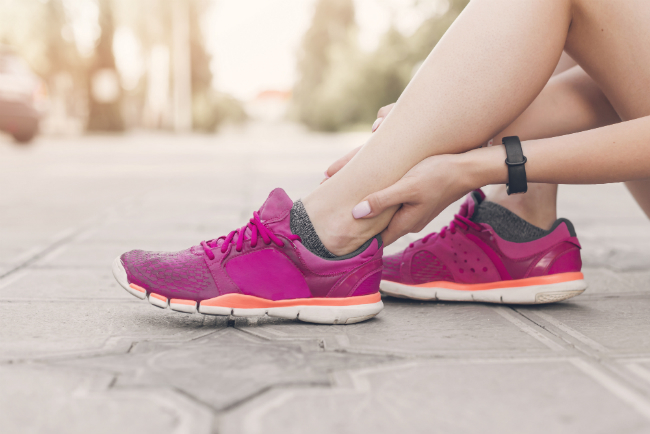 Here are some physiotherapy exercises that we have outlined to help you recover faster from a fractured ankle. - Sit on a hard surface (like the floor) with your injured leg stretched out in front of you. - Loop a towel around your toes and the ball of your foot, and pull the towel toward your body keeping your leg straight. - Hold this position for 15 to 30 seconds and then relax. Repeat three times. - Tie a knot in one end of the elastic tubing and shut the knot in a door. - Tie a loop on the other end of the tubing and put the foot on your injured side through the loop so that the tubing goes around the top of the foot. - Sit facing the door with your injured leg straight out in front of you. - Move away from the door until there is tension in the tubing. Keeping your leg straight, pull the top of your foot towards your body, stretching the tubing. - Slowly return to the starting position. - Do two sets of 15. - Sit with your legs stretched out in front of you. Cross the ankle of your uninjured leg over your other ankle. - Wrap elastic tubing around the ball of the injured foot and then loop it around your other foot so that the tubing is anchored there at one end. - Hold the other end of the tubing in your hand. - Turn the foot of your injured leg inward and upward. This will stretch the tubing. - Sit with both legs stretched out in front of you, with your feet about a shoulder's width apart. - Tie a loop in one end of elastic tubing. - Put the foot of your injured leg through the loop so that the tubing goes around the arch of the foot and wraps around the outside of the other foot. - Hold onto the other end of the tubing with your hand to provide tension. - Turn the foot of your injured leg up and out. - Make sure you keep your other foot still so that it will allow the tubing to stretch as you move the foot of your injured leg. Return to the starting position. Before you start these physiotherapy exercises, try consulting our physiotherapist, to determine an effective plan to strengthen the ankles.